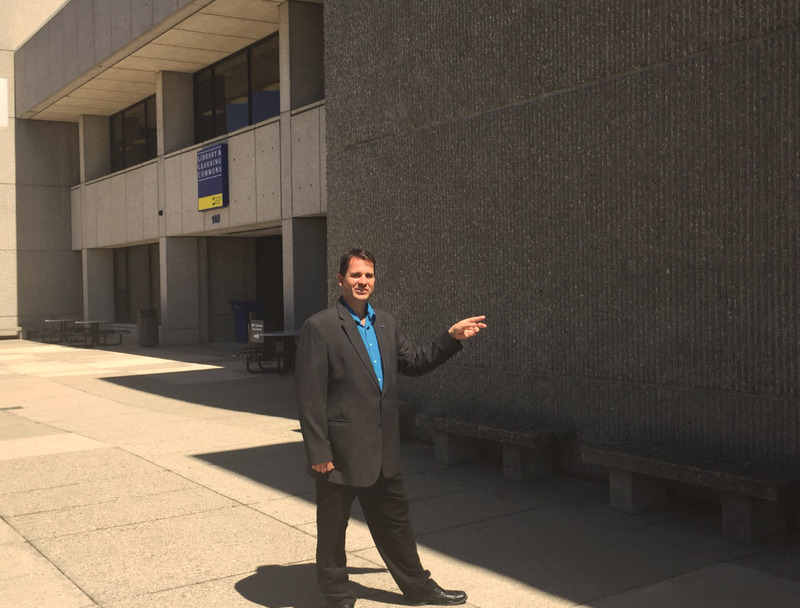 Library Director Brian Beecher points to the temporary LLC entrance to the south of the Main West entrance. See – I told you there was a door here. Next week, we’ll have signs galore! The Library & Learning Commons Lobby will be renovated during the first Summer session, with work starting Saturday, April 28th. That means the regular east and west 1st-floor lobby entrances to the LLC will be closed. During the expected 6 weeks of renovation and remodeling, please enter the LLC using the (usually) emergency door on the west side of the building between the main west entrance and the bridge to the Main Parking Lot. Watch for the signs (coming soon). We’re going to be here – please visit! GRCC Library featured in the Collegiate! The GRCC Library was recently featured in the college newspaper, the Collegiate. Check out the article by clicking here. 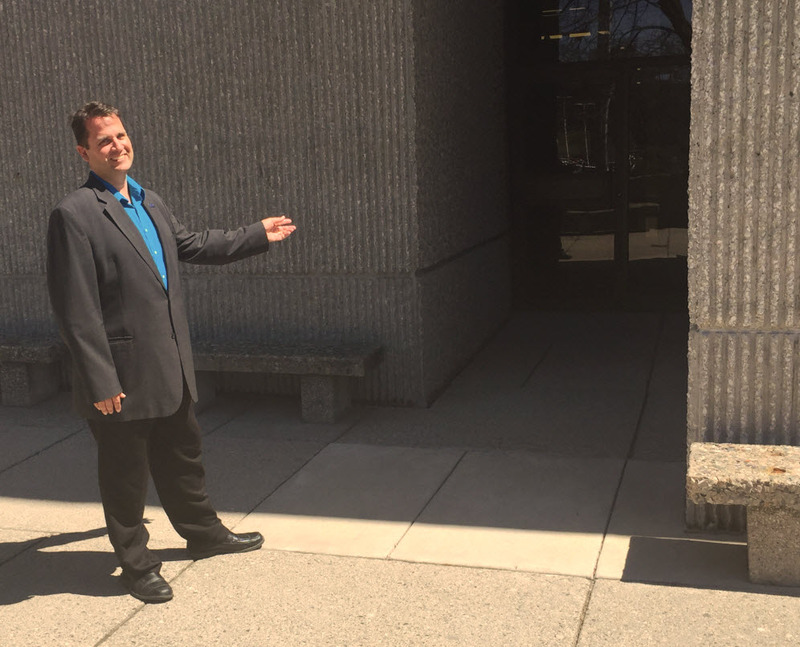 Library Director, Brian Beecher, shares how the space and services provided by the Library and its staff are resources for students – particularly during exam time! Mark your calendars for… Exam Cram! New this semester – during the week of Exam Cram, if you have any library fines you can come in and have them waived! Just come to the Circulation desk during the week or weekend of Exam Cram, ask to have your fines forgiven, and they will be! Once again, free refreshments will be provided, as well as expanded tutoring services and extended hours on the weekend prior to exam week.